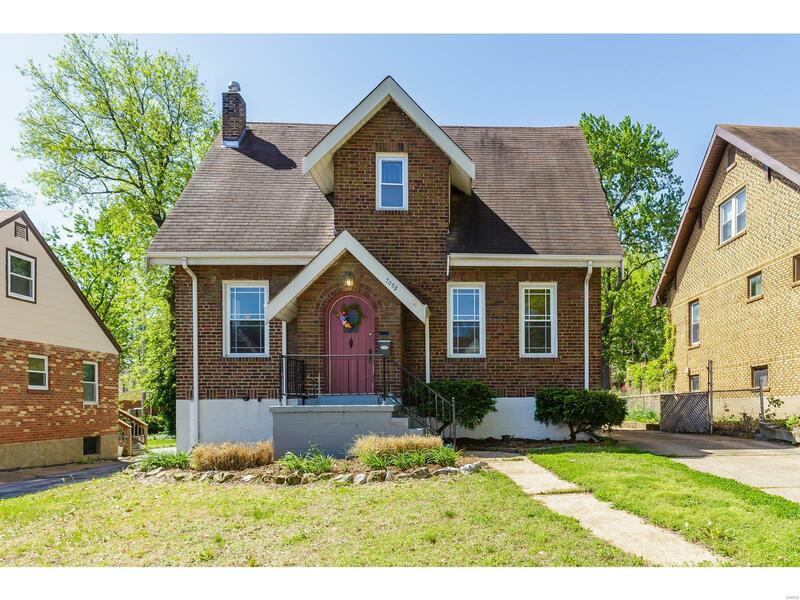 7052 Camden Court St Louis, MO. | MLS# 19010855 | Homes for Sale in St Charles, St Louis, Lincoln and Warren Counties! Looking for a Free Foreclosure List? Call Cheri Peterson 314-283-7251 Our Team is on the Leading Edge when it comes to Technology! Cute, Quaint & Up to Date! This Cottage Style Nearly FULL BRICK Home is Calling your Name! Step Inside thru the Arched Entry Door & you will find Original Wood Floors. Decorative Mantel over the Fireplace surrounded by 2 Wall Sconces & Leaded Glass Windows. Coved Ceilings & Arched Entries. Decorative Metal Staircase takes you to the 2nd Floor as you pass the Vintage Phone Booth. Den on the Main floor w/French Doors, perfect office space. The Spacious Dining Rm has built In Vintage Sconces on the Wall. Updated Kitchen w/Maple Cabinets, Pantry, Ceramic Tile Flooring, Gas range & Dishwasher. Master Bedroom features 2 Closets, Both are Deep! 2nd Bedrm also have a Large Closet. Updated Bath w/Stained Glass Window, Pedestal Sink & Tiled Floors. Lower Level features a 1/2 Bath & Storage as well as an area to add a Family Room. Detached Garage (AS IS) is Deep approx 620Sq ft.w/Service Door & Used mostly for Storage. This Home demands ACTION & Should be place on your Most wanted List!